University of Missouri Sinclair School of Nursing PhD student Tammie Conley was selected to receive a Jonas Global Fellowship. The Jonas Global Fellowship, funded by the Jonas Center, provides global health research experiences for graduate nursing students. 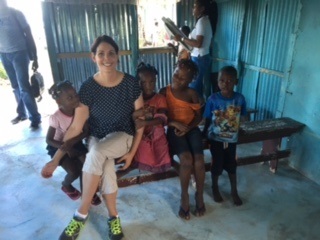 Tammie and her advisor Dr. Maithe Enriquez traveled to the Dominican Republic in October 2014 to evaluate the effectiveness of a hypertension screening and intervention program for sugarcane workers in the bateyes of the Dominican Republic.